Jose Munoz, who previously led Nissan's strong growth in the U.S., will replace Jun Seki, currently head of China operations. TOKYO -- Nissan Motor said Chief Performance Officer Jose Munoz would become head of its China operations, leading the company's ambitious expansion in the world's largest auto market. 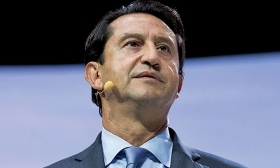 The automaker and its partner Renault also named key members of senior management teams that will focus on deepening convergence in areas including engineering and purchasing, as the group seeks to leverage its combined scale to raise efficiencies and reduce costs. The closer partnership comes as the two automakers discuss plans for a closer tie-up in which Nissan would acquire the bulk of the French state's 15 percent Renault holding, Reuters reported last week. Munoz, 52, who previously led Nissan's strong growth in the United States, will replace Jun Seki, currently head of China operations. Seki becomes a senior vice president of production engineering, and will join a senior management team focused on increasing cooperation between Nissan and Renault in manufacturing and production operations. Munoz will remain chief performance officer at Nissan. The move follows Nissan's announcement last month that it and its Chinese joint venture partner Dongfeng Group plan to invest 60 billion yuan ($9.50 billion) in China over the next five years to boost sales volumes by more than 70 percent to 2.6 million vehicles a year by 2022. The Nissan-Renault group's organisational change comes into effect on April 1, and is designed to accelerate cooperation between the two automakers and Mitsubishi Motors. Hadi Zablit, who joins the alliance from Boston Consulting Group in Paris, will head a team dedicated to new transportation services, venture projects and the development of a manufacturing platform for ultra-compact cars to be shared across the group. His team will include Ogi Redzic, senior vice president of the alliance's connected vehicles and mobility services operations. Together, the three automakers plan to achieve annual synergies of 10 billion euros ($12.37 billion) by 2022 while boosting global sales by roughly one-third to 14 million units by that date.